National Energy Guarantee – What does it mean for the energy industry? Home › AU Energy Compliance › National Energy Guarantee – What does it mean for the energy industry? The Turnbull Government yesterday announced that it would accept the recommendation of the Energy Security Board (ESB) for the introduction of a new National Energy Guarantee (NEG). The NEG will create a dual reliability and emissions guarantee. The main focus of the NEG appears to be the reduction of household energy bills, with the emissions reduction scheme taking a back seat. The assumption that household energy bills will be reduced is based on a lot of hypotheticals which may or may not occur. ‘The irony is that their market dominance through vertical integration will probably make it easier, in the short term at least, to make the scheme work’. 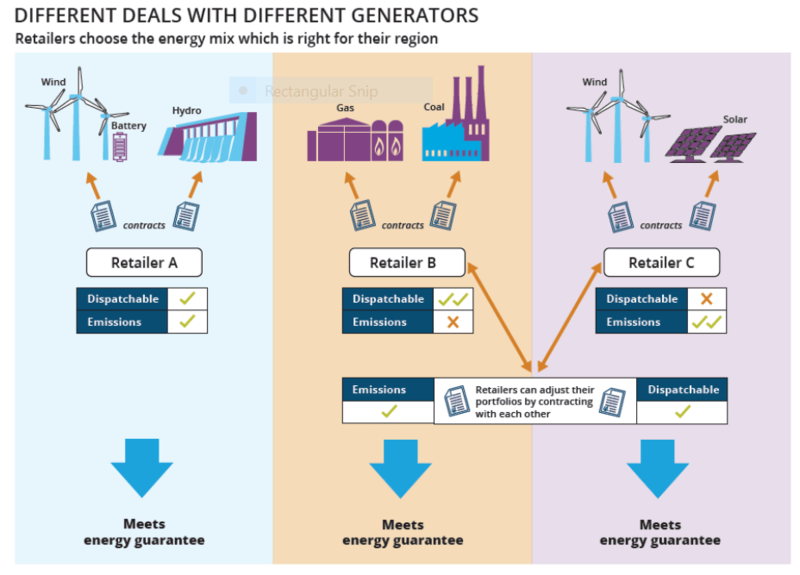 ‘The Guarantee is made up of two parts that will require energy retailers across the National Electricity Market to deliver reliable and lower emissions generation each year. A reliability guarantee will be set to deliver the right level of dispatchable energy (from ready-to-use sources such as coal, gas, pumped hydro and batteries) needed in each state. It will be set by the Australian Energy Market Commission (AEMC) and Australian Energy Market Operator (AEMO). 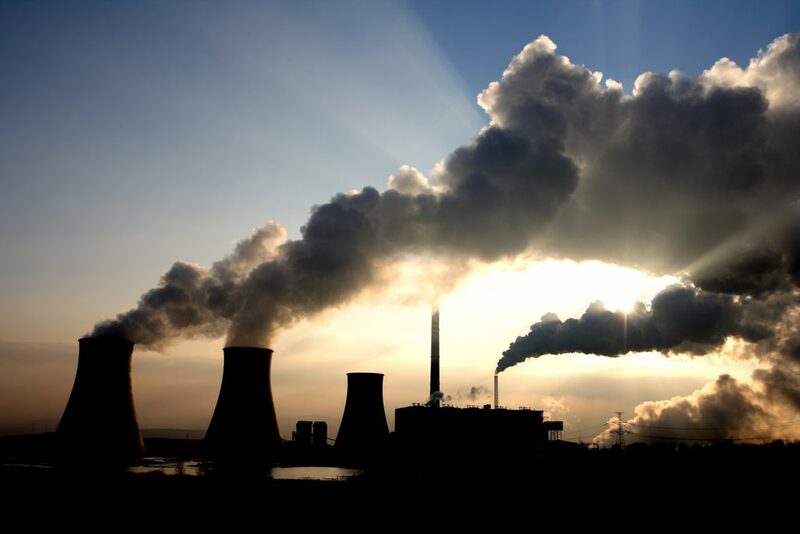 An emissions guarantee will be set to contribute to Australia’s international commitments. The level of the guarantee will be determined by the Commonwealth and enforced by the Australian Energy Regulator (AER)’. Under the NEG, energy retailers will be required ‘meet their load obligations with a portfolio of resources which include a minimum amount of flexible dispatchable capacity, and an emissions level consistent with Australia’s international emissions reduction commitments. Retailers will fulfil their guarantee through the contracts they enter into with generators or through the type of generators they invest in directly. The dual guarantees will be imposed through the conditions of registration as a wholesale market customer in the National Electricity Rules. Like requirements will be imposed on large power users who participate directly in the wholesale market’. As with most new policies announced by any government, the announcement was full of rhetoric and short on details. The advice from the Energy Security Board (ESB) is only eight pages long. Of course, this is the overview, the general concept rather than the nuts and bolts. The problem is that energy retailers need to know the nuts and bolts in order to run their businesses and make plans for the future. Of course, the amendments to the regulations will take some time to draft and will then presumably be subject to a consultation period. A sensible approach one would say, however this announcement needs to be understood against the current regulatory reform background. On 1 December 2017, a series of significant changes to the current Energy Rules and Guidelines will come in to operation. The reforms have created new roles which energy retailers must adopt or employ someone to fulfil them. These are known as the Power of Choice Reforms which were introduced in December 2015. Those amendments and reforms have been subject to a considerable amount of stakeholder consultation. On 11 October 2017, the Australian Energy Regulator released revised Compliance and Reporting procedures for review. The changes put forward in this review relate to redesigning the regulatory framework for retail licence and embedded network applications. This is the beginning of another significant change to the Energy Rules and Guidelines. On 17 October 2017, the new NEG was introduced. Another radical change to the operation of the energy retail and wholesale market. Could anyone blame energy retailers and wholesalers for feeling overwhelmed? What type of energy should be included in a portfolio of resources which include a minimum amount of flexible dispatchable capacity? What is a flexible dispatchable capacity? What will be the rule changes for registration as a wholesale market customer on the NEM? Will the requirements for registration as an energy retailer change? Will it impact the current Small-scale Renewable Energy Scheme and STC’s? What will it mean for the energy sector? What type of contracts will be needed to comply? What type of generators should you invest in? Some of these questions cannot be answered at this stage. The announcement by the government was without a draft of the proposed legislation so we will need to wait for that to be drafted. What we do know is that there will be another round of significant amendments to be understood and complied with by energy retailers and generators. Until the legislation is drafted we will not know what type of generators or resources will be within the definition of dispatchable energy. I will go through the remaining questions one by one and see if I can shed some light on them. I will not be providing definitive answers as no-one has them yet. Having been a lawyer for over thirty years I am afraid that I often come up with more questions than answers, however it is important for energy retailers and generators to be aware of the questions they need to consider when engaging with the regulators about the changes. The Advice refers to coal and gas as current dispatchable generation which in the future will exit the market. Interestingly, the Advice refers to the large retailers who already own generation assets as having a ‘structural hedge’. This is also known as vertical integration whereby the retailer is also the generator. Current discussions around this raise concerns about the power which these ‘gentailers’, as they are known, will have in the market. ‘The ESB is proposing the development of an obligation on retailers to meet a percentage of their load requirements with flexible and dispatchable resources, that is, resources that can be scheduled by the market operator depending on the real time operating needs of the system. This would allow both new and existing generation to meet the dispatchability requirement, and provide a greater incentive to maintain existing plant which is necessary for the secure and reliable operation of the power system. The resources which comply with the system needs would be carefully defined and include any form of technology, generation, batteries and demand that can respond to a request by the operator to increase or decrease their output over a defined time interval’. The Overview states that their preliminary analysis ‘suggests that the power mix would include around 28-36% renewables (including hydro and solar pv). Intermittent renewables may make up about 18-24% with dispatchable resources providing the remainder’. ‘Over the five years from 2012–13 to 2017–18, there was a significant reduction in dispatchable generation (coal, gas, liquid fuel, hydro, biomass), and a rapid increase in variable generation (primarily wind). This results in a forecast reserve margin in 2017–18 of around 12%, slightly less than that in 2007–08’. This introduces another term, variable generation, for wind generation. As the term suggests, wind generation is subject to climate conditions. Such is also true of solar pv, which is why the development of battery storage options for energy is so important. AEMO has stated in its Advice that it is indifferent as to what technology or types of resources are used but rather its focus is on ensuring that the resource is dispatchable, ie: is able to meet the demands of the system at a time and location where it is necessary. The following diagram is included in the Overview. According to the diagram, wind power with a battery is dispatchable but wind power without a battery and solar pv are not. They are however low on emissions which gas and coal are not. Getting the mix right will involve a number of contracts between retailers and generators. These contracts will need to be reviewed by lawyers and energy experts before being signed. One wonders if this will add to the costs of supplying energy and prevent the type of savings the government is predicting for households. As the previously quoted statement provides, the resources which meet the requirements ‘will need to be carefully defined’, which would suggest that there will be a fixed list of resources which meet the requirement. After stating that the resources need to be defined, the advice however provides a very broad example which includes ‘any form of technology, generation, batteries and demand’ that can respond to a request from an operator. Is the ability to meet a request from an operator linked to the definition? Will this be a pre-condition? What if the resource is on the list but cannot meet the demand in a particular circumstance? Will there be additional requirements to be met by AEMO? I do not know the answer to these questions as the legislation has not been drafted yet. I do think that this is an area that the government will need to pay close attention to and ensure that they provide clear guidance and definitions to the market. Contracts will need to clearly define the resource, the ability to supply on demand and amounts of energy to be supplied. As with any good contract there will be exceptions and limitations of liability. If the supply is not met, notwithstanding there is a contract in place, who will the regulator hold responsible? Will it be the retailer or the generator? Will retailers require generators to indemnify them against such a breach. The dispatchability criteria will require retailers to meet a percentage of their load requirements with flexible and dispatchable resources. The percentage will be determined by AEMO who will provide clarity ‘through the framework about what type of generation and load resources meet this requirement’. The Advice states that the amount and type contracted will depend upon the system wide reliability standard as determined by the AEMC Reliability Panel. Therefore, retailers will have a flexible, dispatchability criteria that will be determined by AEMO but based on a standard determined by the AEMC. To understand the basis of the criteria or percentage the retailer will need to understand the standard. The Small Scale Renewable Energy Scheme (SSRES) is part of the Renewable Energy Target (RET). ‘Under the Small-scale Renewable Energy Scheme, eligible small-scale renewable energy systems may be entitled to small-scale technology certificates [STC’s], which can be sold to recoup a portion of the cost of purchasing and installing the system. These are the very energy generation systems which the government and the Advice consider to be the new type of energy which is worth investing in. The STC’s provide a way for individuals and small operators to invest in renewable energy. The NEG will replace the RET and encourage investment in large scale renewable energy generation. If the RET is replaced then one imagines that the STC’s will no longer be available however some commentators believe that the word replace does not mean repeal. One wonders if the government will introduce a similar system to encourage individuals and small operators to invest in renewable energy or will it only benefit the large operators? It will take some time to work through the proposal and see what rule, regulation and guideline changes will be introduced. What is certain is that the energy sector will need to brace for another regulatory change, another set of amended or new laws and regulations. The questions raised here may well be answered once more information and draft regulations are provided. I will continue to review the changes and provide more detailed analysis. Malcom Turnbull finally wins his party room, voters a bigger challenge, 17 Oct 2017, AFR. AEMO Advice at p 10. AEMO Advice at p 20.